Item No. 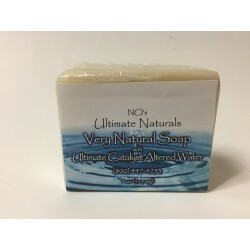 E-101* -- Ultimate Naturals Very Natural Soap (formerly, Very Natural Willard's Water Soap) It has only three of the purest ingredients: Ultimate Dark Catalyst Altered Water, Olive Oil and Coconut Oil. The only additional ingredient is glycerin. Another Big Plus to this Soap is what isn’t there: No fragrance, No colors, No preservatives, and No herbs. Item No. E-101* -- Ultimate Naturals Very Natural Soap with Ultimate Catalyst Altered Water (formerly, Very Natural Willard's Water Soap) Regarding the name change -- the soap is exactly the same as before but with a new name and label. For more information on the name change, go to PAGE 5 of our June/July 2018 Newsletter. Ultimate Naturals Very Natural Soap is made the old fashioned way. Each bar is handmade using only three of the purest ingredients: Ultimate Dark Catalyst Altered Water, Olive Oil and Coconut Oil. The only additional ingredient is glycerin. Another Big Plus to this Soap is what isn’t there: No fragrance, No colors, No preservatives, and No herbs. 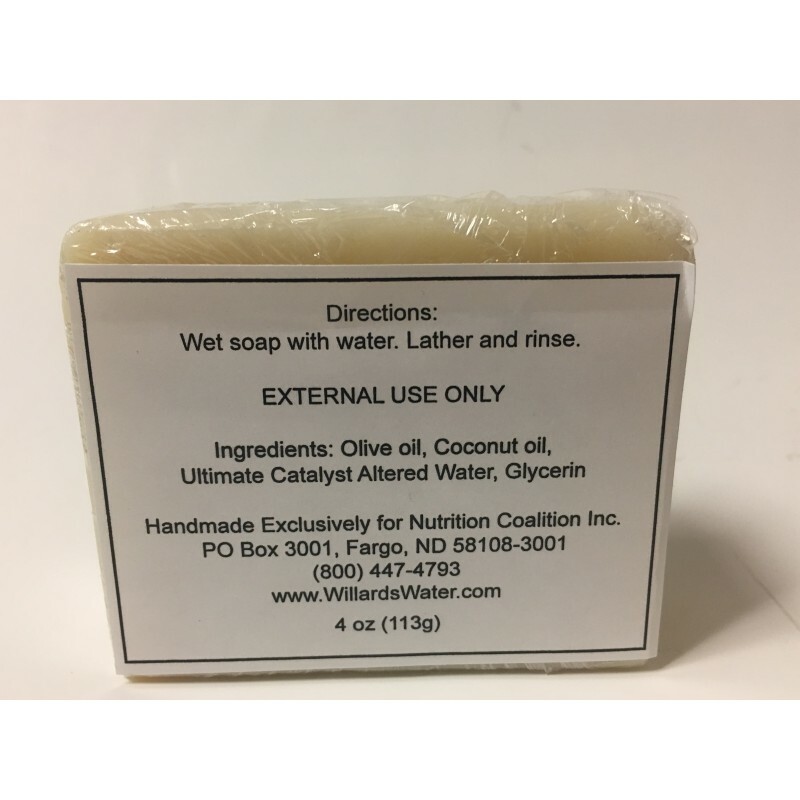 As a result of the ingredients and the NON-ingredients, the manufacturer points out that the soap is usable for most people -- even those with sensitive skin and fragrance sensitivities. People say they notice a big difference between our Very Natural Soap and most brand name soaps because no tallow is used (which is pork, beef, and chicken fat) or sodium lauryl sulfate which is detergent. Users report noticing softer skin after each shower. Many users have said they also notice a reduction in body odor after using our Very Natural Soap.